As a platform for “empowering translators” (Tymoczko 2007), translation studies has developed into a discipline that encourages inclusionary approaches, culturally sensitive methodologies and agency-focused paradigms which unsettle the traditional author/translator hierarchy. 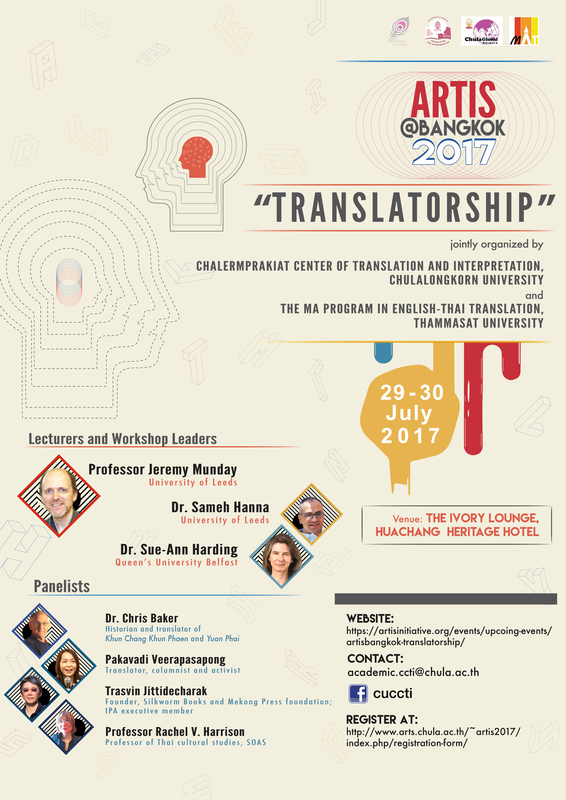 However, this emphasis on the importance of “translatorship” is not always adopted within translator training programmes. We are faced with generations of translators who are not equipped with the ability to reflect critically on themselves and their works. In this ARTIS event, we offer lectures and workshops that focus on research methodologies and critically engage with the issue of translatorship on both textual and sociological levels. On the textual level, the translator’s presence can be studied, for example, through the translator’s point of view, style, ideology, without a traditional, rigid comparison with the author. On the sociological level, translators are considered influential players in the creation of the social world, as can be seen in Bourdieu’s sociological approach to translation that pinpoints translators as mobilizers of economic and symbolic capitals through their works. Both approaches highlight the significance of the role of translators in the importation and transmission of knowledge, whilst acknowledging that this is not always properly documented, and that it thus tends to be wiped out from public memory. Registration is now open for the “first day only” option (lectures and panel discussions). The two-day option is only open to accepted poster presenters. We recommend our participants to stay at either Huachang Heritage Hotel, where ARTIS participants can enjoy the hotel’s conference rate, or our own International House (CU iHouse) which offers affordable one and two-bed studios with shared facilities. To reserve, participants must complete the accommodation booking section in the registration form, indicating the accommodation of choice. The hotel will arrange for deposit payment via email. Note that CU iHouse does not require a booking deposit. It asks for a key deposit which is payable upon checking-in. To register, please go to http://www.arts.chula.ac.th/~artis2017/index.php/registration-form/, complete the form and pay the registration fee. Payment can be made by credit card, using our trusted online payment facility. Local participants are encouraged to use direct bank transfer to our account. You will be guided through our registration and payment system. An email confirmation will be sent to you upon completion of the form. We would like to welcome ARTIS participants on both/either day(s) to come and enjoy the cultural evening at the iconic Jim Thomson’s House which is situated within a walking distance of our event venue, Huachang Heritage Hotel, on the evening of 30th July. Dubbed by Time magazine as an American who “almost singlehanded(ly) saved Thailand‘s vital silk industry from extinction,” James H.W. Thompson also remarkably reconstructed six old Thai upcountry houses in the heart of Bangkok as his new home which turned out to be an astounding architectural achievement. 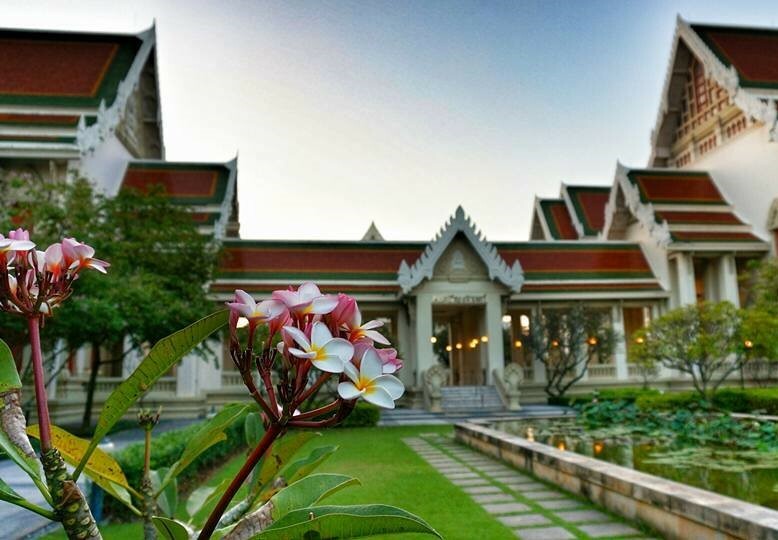 An artefact of “cultural translation,” the mansion itself exudes unfeigned charm of Thai traditional living, but with a touch of Thompson’s own style. 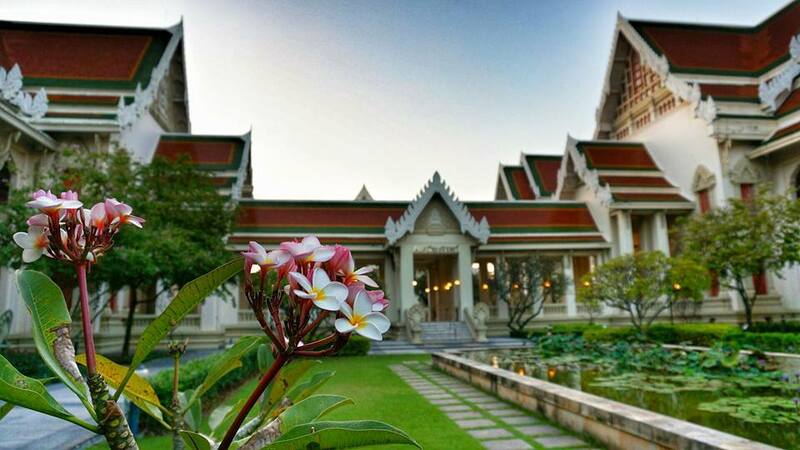 The programme includes a guided tour of the mansion, traditional Thai dinner and performance. A full-price ticket for the combined tour, performance and dinner normally costs 1,500 baht, but our participants will receive a special rate of 800 baht if they book and pay online. If we still have tickets available on 29th July, you can purchase the ticket at the registration desk for 1,000 baht. Link to ticket booking page will be available soon. A free guided tour of Chulalongkorn University is offered, on the morning of 31st July, to those who are interested in exploring the kingdom’s oldest university. Participants will visit CU memorial hall where significant memorabilia are on display, and the faculty of arts’ buildings, known as the “Devalai” (residence of gods), which were built in the ornate style of Sukhothai architecture. Please send an email indicating your interest to phrae.c@chula.ac.th.